Ideal birthday present my daughter in law was in very much excited on the phone she told me she had it on and was going out to show it of. 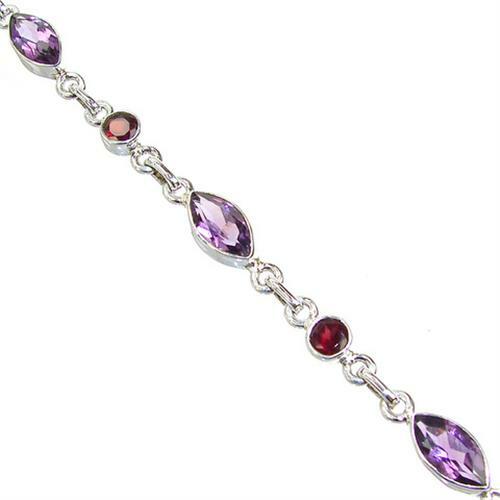 It does look very elegant. 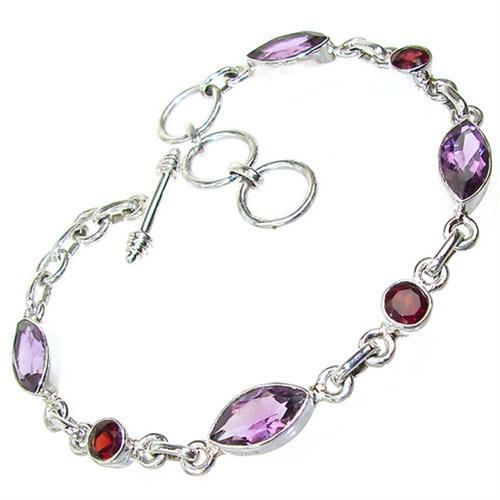 This Stunning Bracelet is made from Sterling silver in a Highly Polished Finish and set with Amethyst, Garnet Hallmarked Silver Bracelet.